X-Small - $80.99 Only 8 left! Small - $80.99 Only 3 left! Medium - $80.99 Large - $80.99 Only 2 left! Going on a crime spree ain't no easy affair! At least it isn't when you live in a dark and twisted city. You see, there's a vigilante who's looking to stop your twisted plans before you even get a chance to start them. The only way to make sure that your caper is going to be a success is to throw a little bit of a wrench into your traditional schemes and heists. And we recommend creating a persona that's ready to give any do-gooder a pause in their step before intervening in your caper. A look that's devious enough to keep your henchmen in line, and something that will strike fear into the hearts of the everyday folks of your city. Tricks, pranks, and not-so-funny jokes will only take you so far in the world of crime, so you better start curating the perfect style. A look that will have you ruling a criminal syndicate the likes of which your city has never seen before! Now, we're not saying you have to spend hours fretting trying to come up with an unforgettable look. 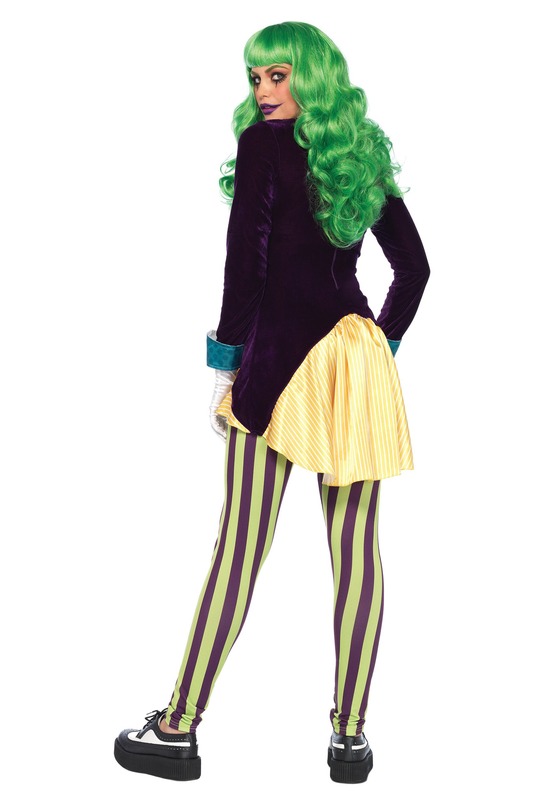 This women's Wicked Trickster costume will instantly transform you into a sinister joker who's always up to no good! The sequin trimmed velvet and satin jacket and shirt combo has a high/low cut with an attached satin bowtie. Deliciously wicked! The top coordinates with the matching striped leggings to instantly turn you into a villain worthy of her sinister reputation. 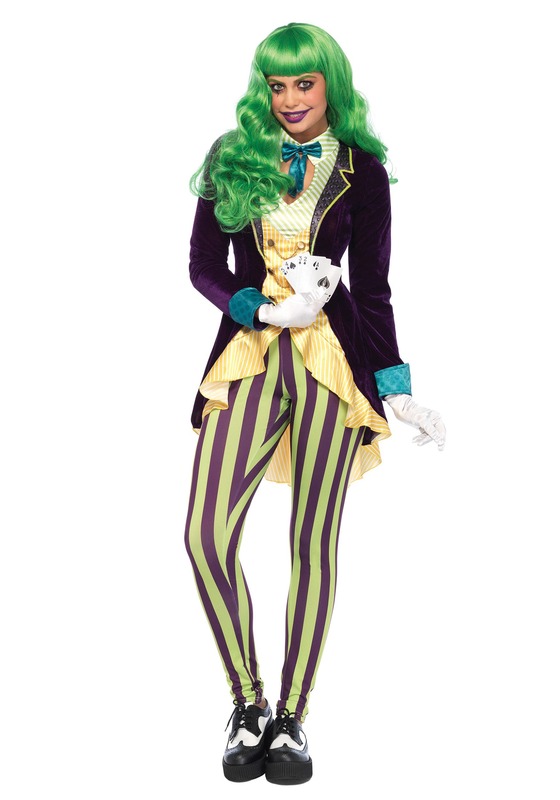 Get this look to make sure that this Halloween you'll be the one holding all of the cards!